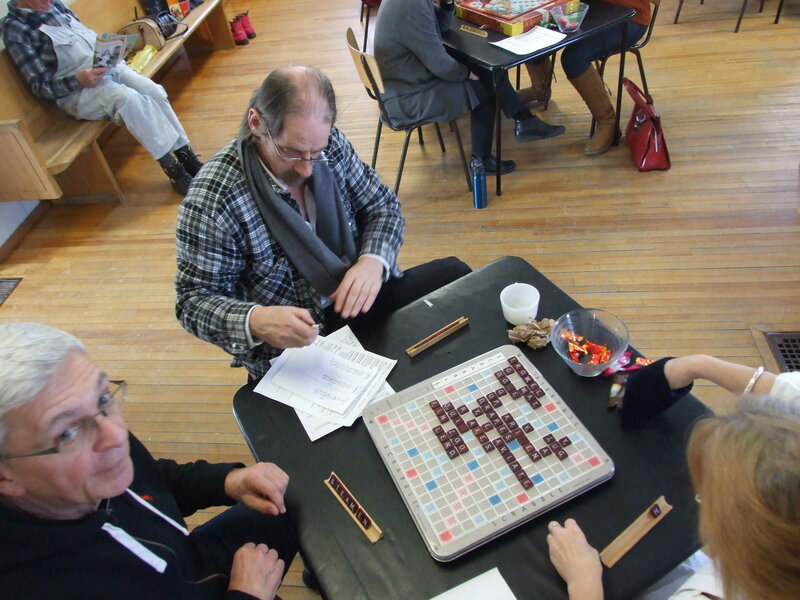 « Scrabble Tournament starts today at 11am! 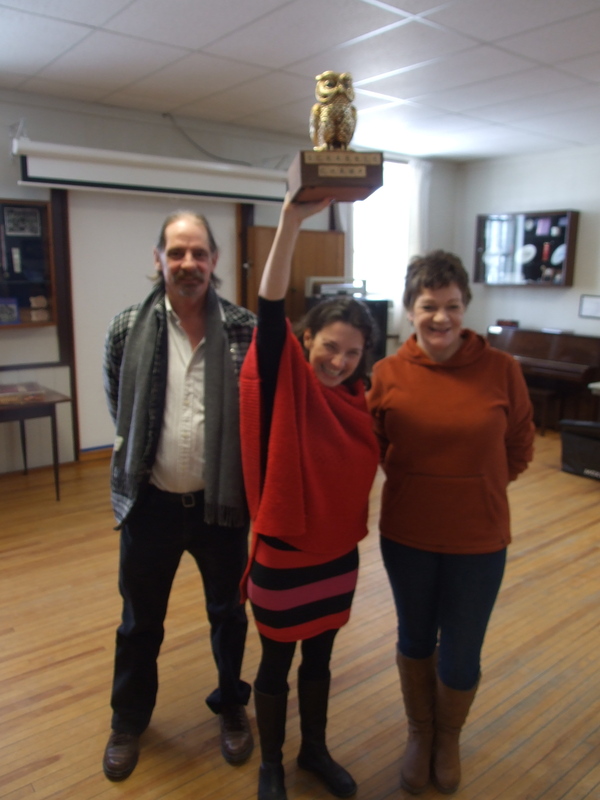 Scrabble Tournament Winner is Sarah Keelan-Bishop!!!!! 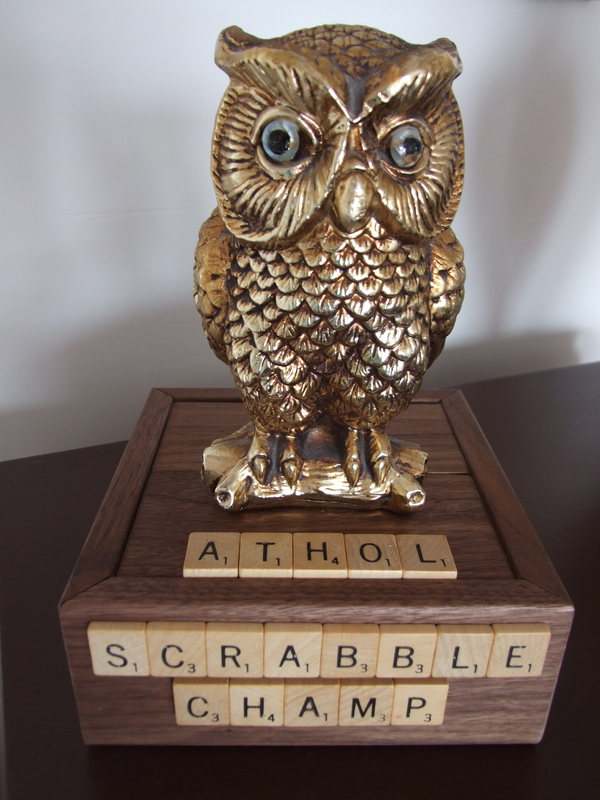 The coveted Athol Scrabble Champ award nicknamed the “Golden Hoot” was made by Recreation Committee member Glen Wallis. 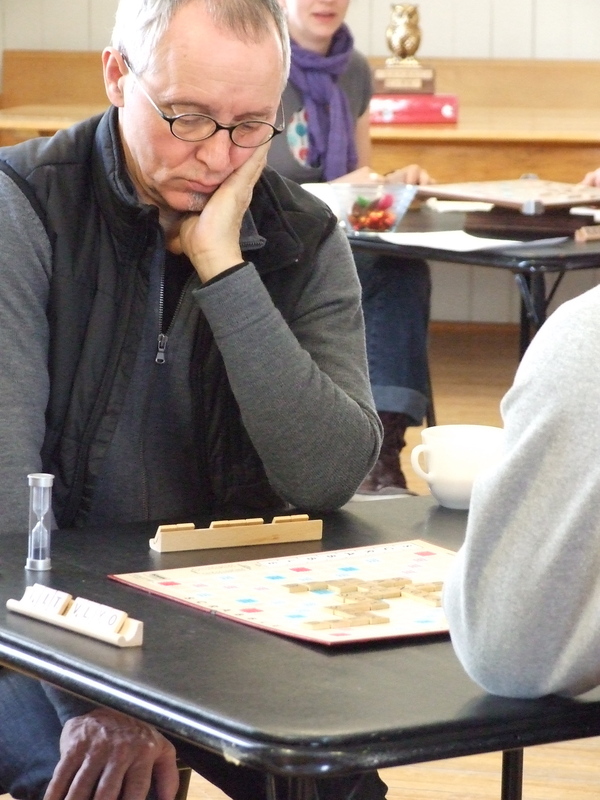 Scrabble player John McKinnon studying his next move. 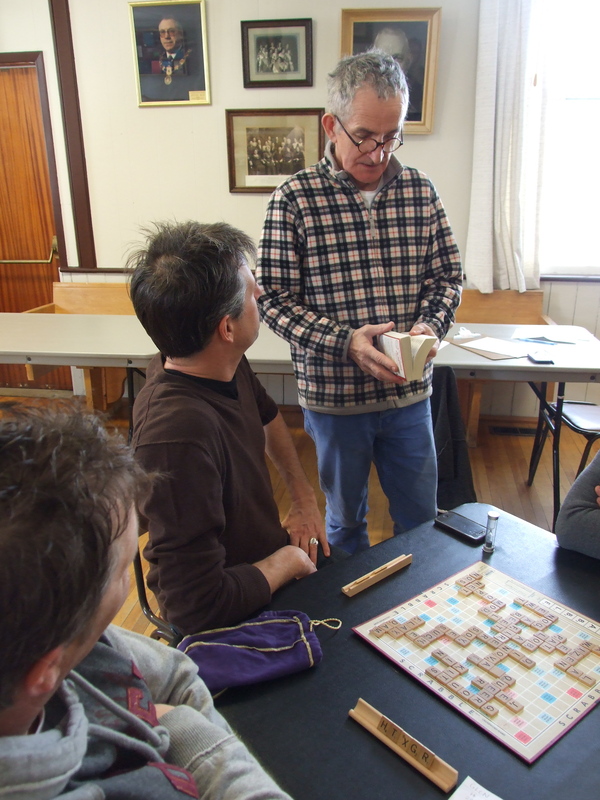 Billy Munnelly the Scrabble Official deals with a word challenge by one of the players. 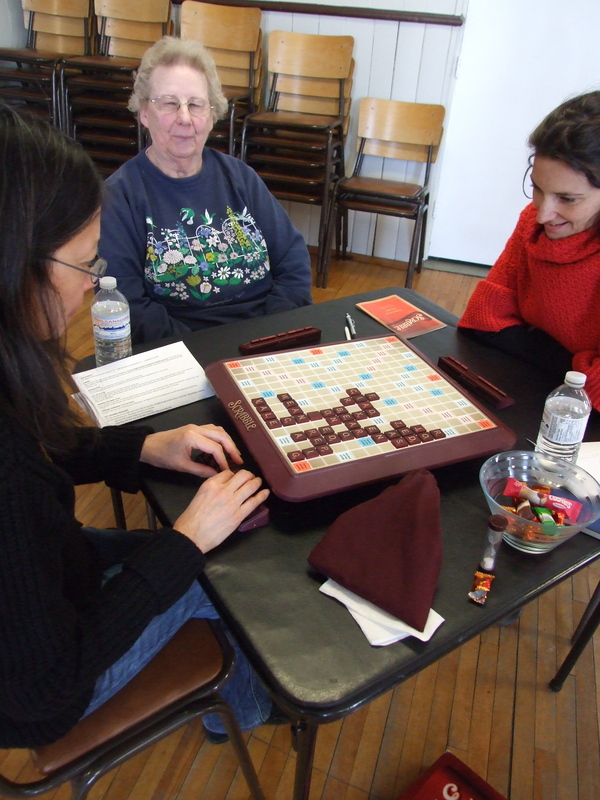 Alice (centre) seems pleased with her scrabble letters while Lily (left), Committee Treasurer ponders her move and Sarah (right) exudes winning confidence. Alec Lunn keeps an eye on the score while Chris looks a little worried. Janet, Committee Secretary hopes to pull a good letter from the bag. 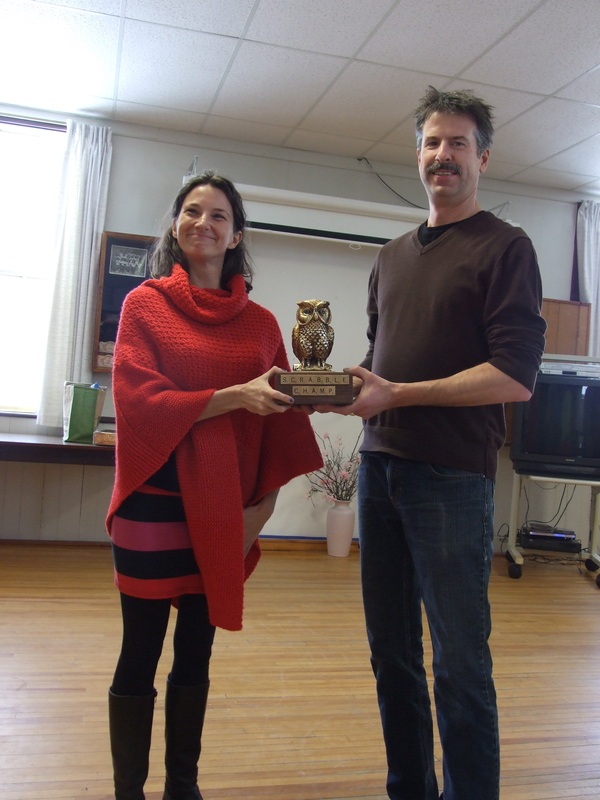 The Winner is Sarah Keelan-Bishop accepting the “Hoot” award from award maker Glen Wallis. Alec Lunn with 451 and Angela Adams with 391 points.